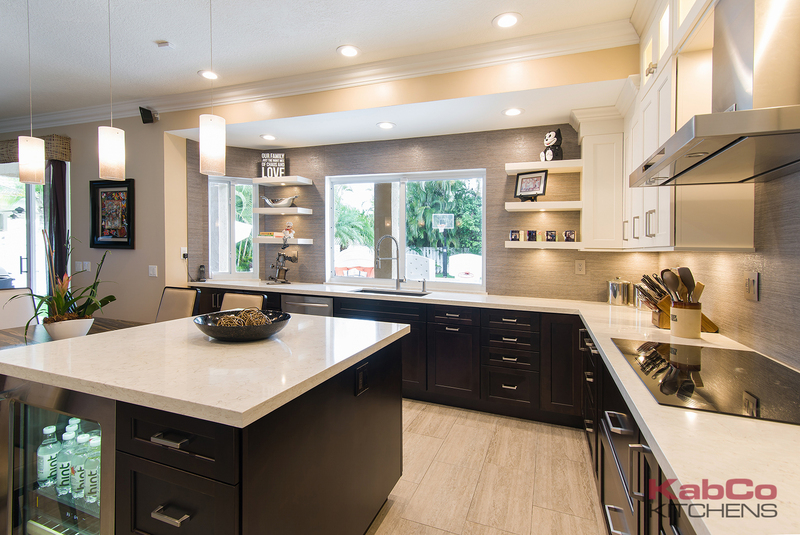 No one can deny the elegance of this transitional kitchen remodel. 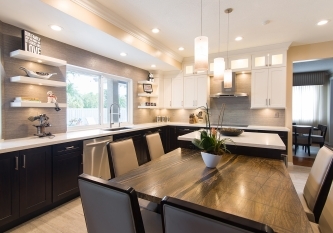 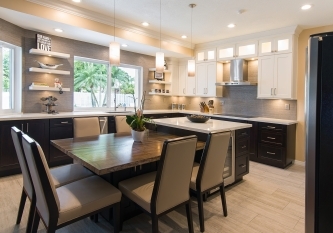 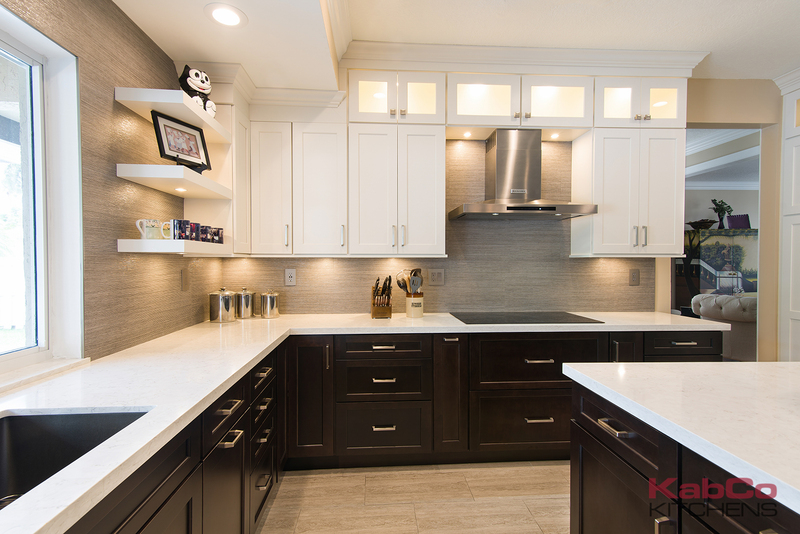 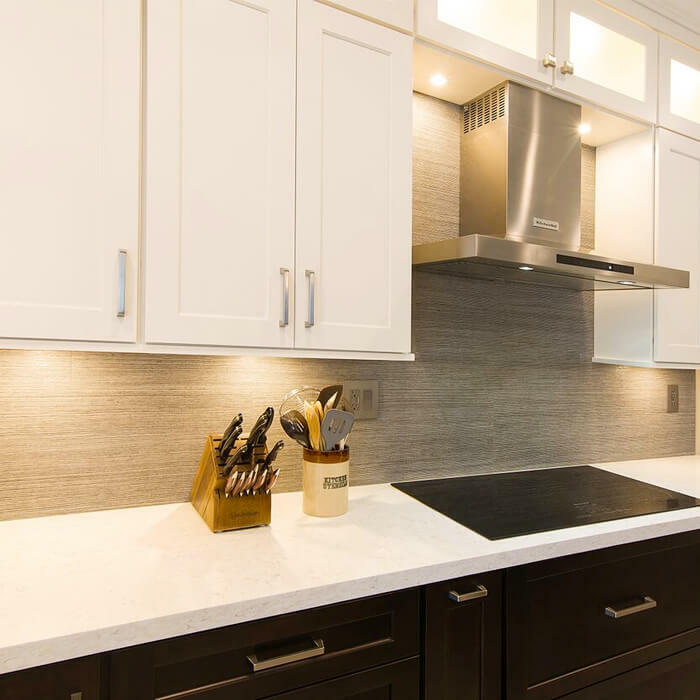 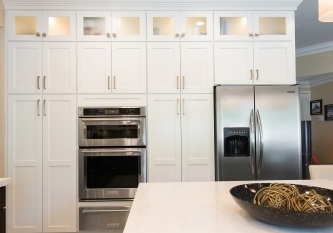 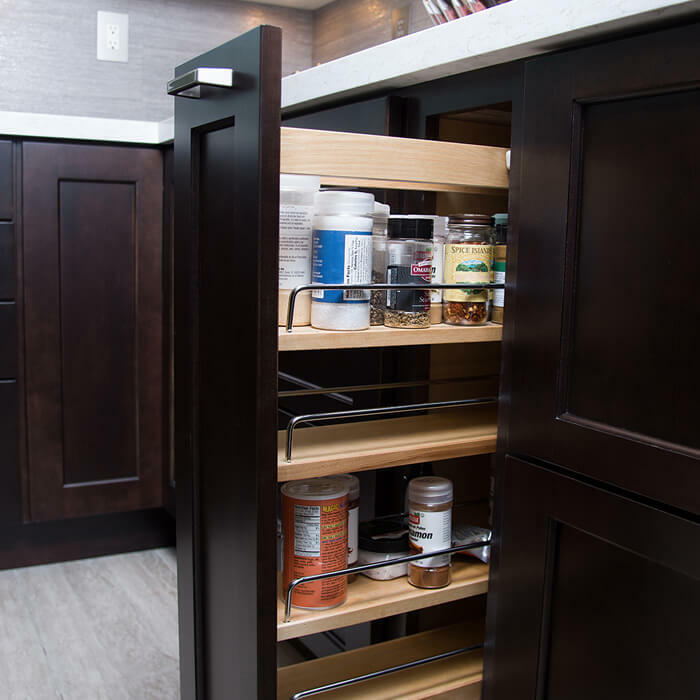 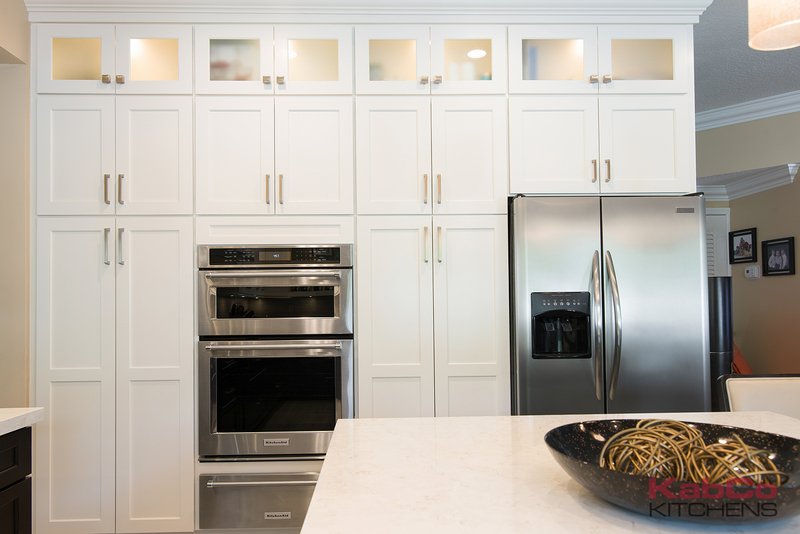 This kitchen features custom Showplace Wood Product cabinets, pantries and shelves in Maple Soft Cream. 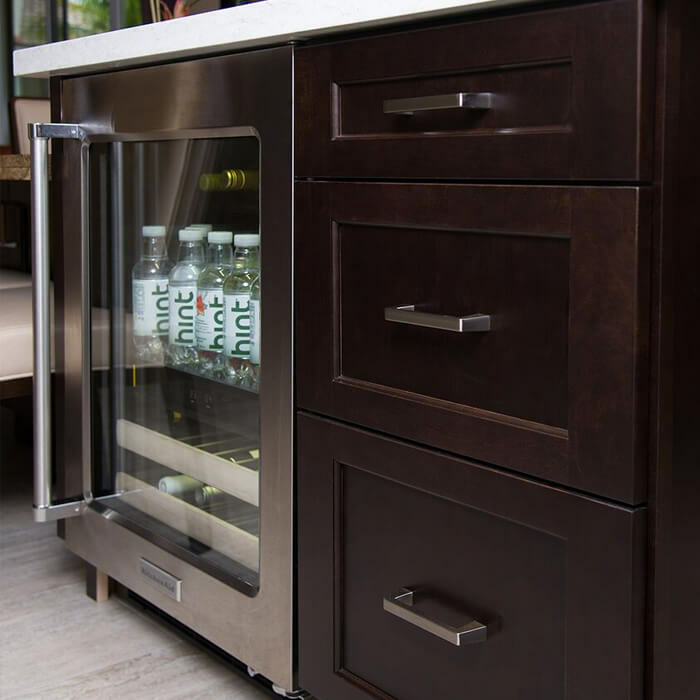 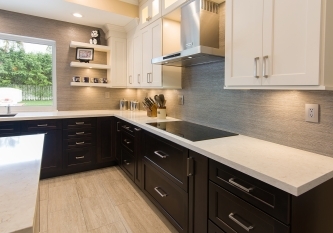 The base cabinets were designed in a contrasting Maple Espresso Finish. 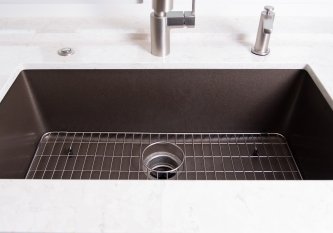 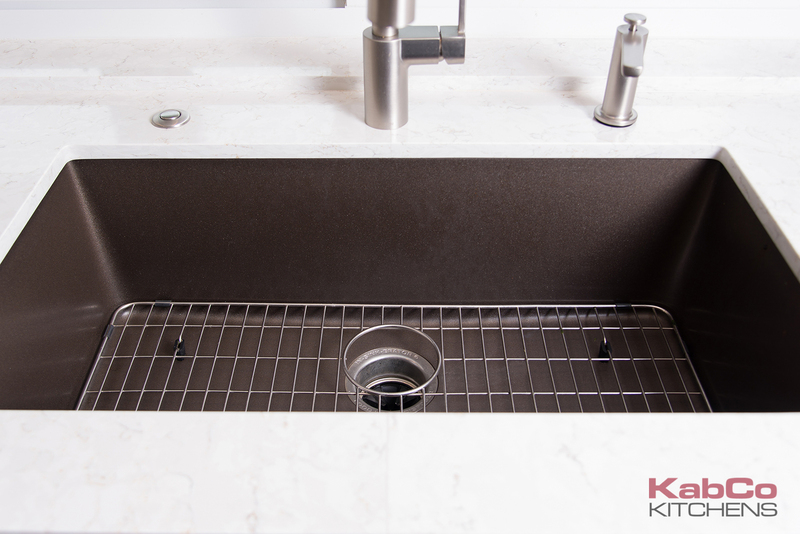 The kitchen counters seen here are Lusso by Silestone. 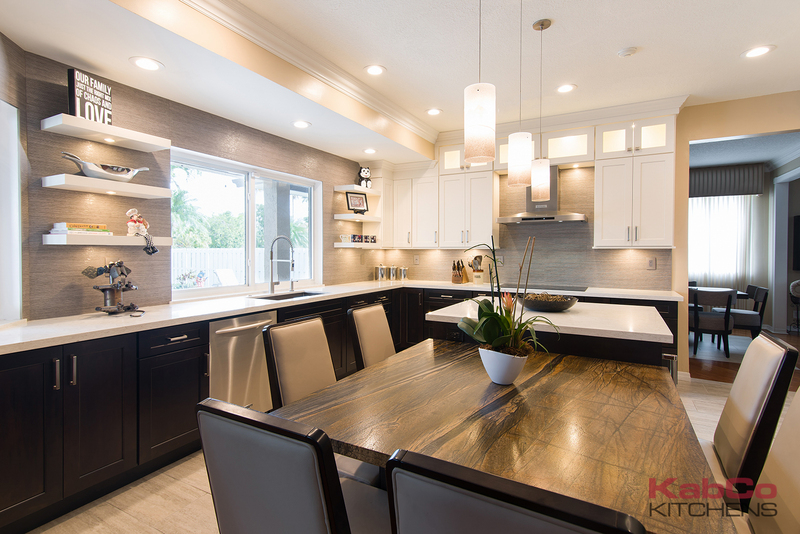 The dining table we created is topped with an exotic natural stone only found international and looks like wood but the durability of marble. 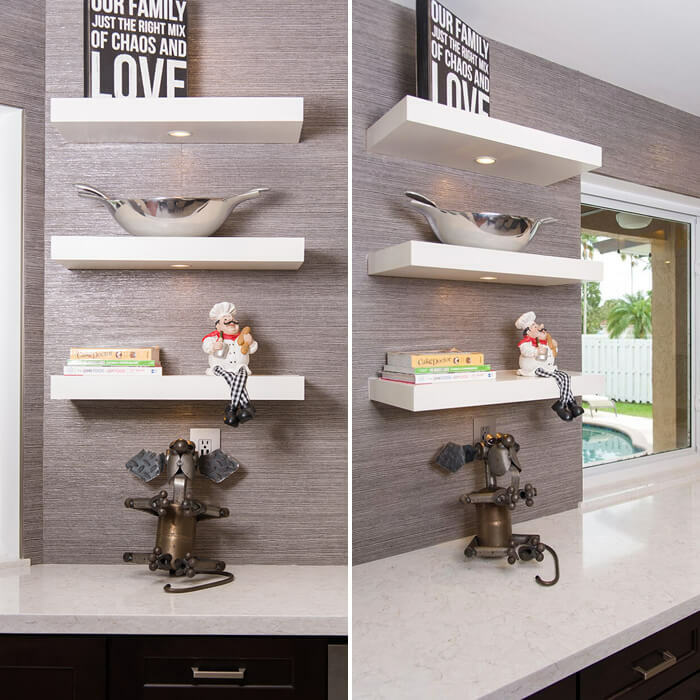 We used floating shelves on either side of the picture frame window to create an airy modern feel. 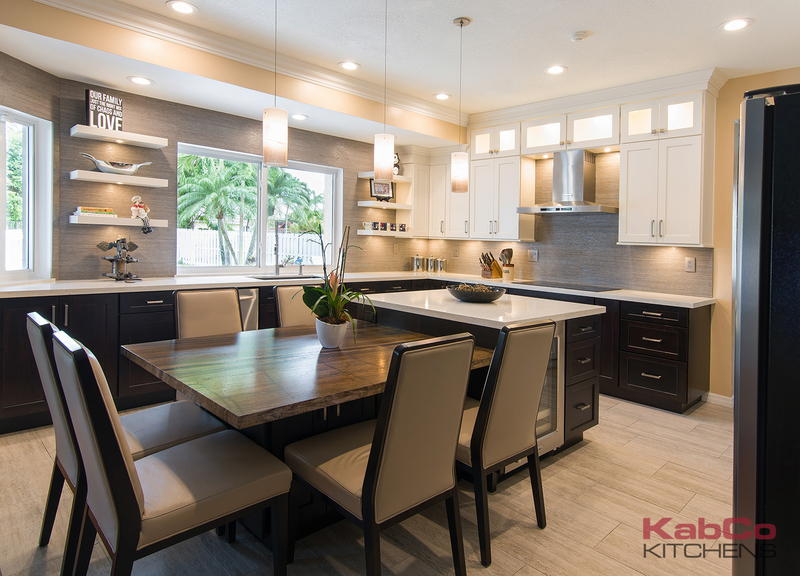 Delicate pendants were hung uniting the dining area and island. 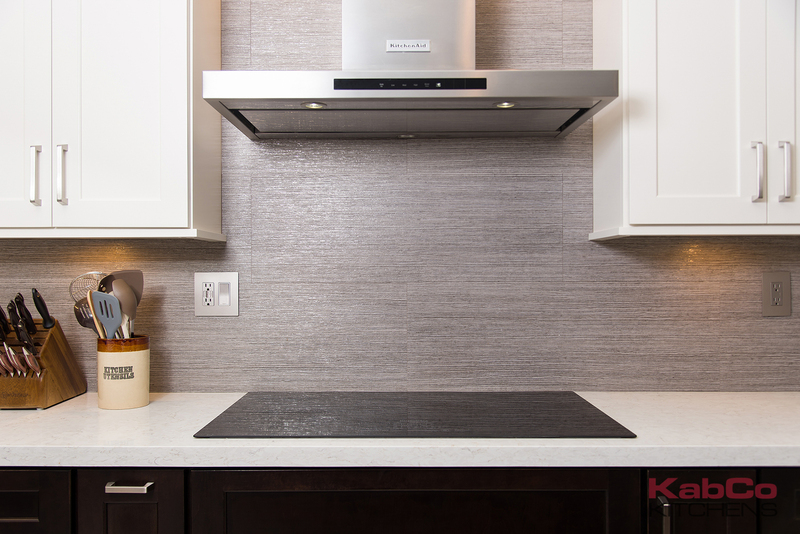 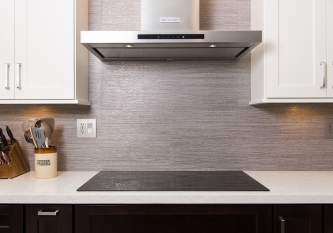 Stainless steel finishes complete this Transitional kitchen remodel.